Learn all about bankruptcy law with us! How to Become a Bankruptcy Lawyer? Bankruptcy law is a very diverse practice and no two days will look alike. In these trying economic times, there is no shortage of clients when it comes to bankruptcy cases. Every bankruptcy case will look different from the next and each will pose different challenges for the lawyer presiding over it. Bankruptcy is a legal procedure that is pursued by individuals or businesses who find themselves unable to pay their debts. People in this position reach out to lawyers whose focus is on bankruptcy to help them have their debts discharged or reorganized. Bankruptcy lawyers will have days both in and out of the courtroom. When they’re in the office, they’ll be working with their clients one-on-one, counselling them about the intricacies of bankruptcy law and helping them to find ways to reduce their debt load. In the courtroom, they may have to present debt reorganization plans to the court. The goal of a bankruptcy lawyer is to find ways to guide their clients away from having to declare full bankruptcy. Lawyers who work in bankruptcy will need to have an in-depth knowledge of the federal bankruptcy code. They will need to have skills in both litigation and transaction. Bankruptcy lawyers should have negotiation and communication skills, especially considering how complicated the law can be when it comes to bankruptcy. Before one can specialize in a certain type of law, students must obtain a four-year bachelor’s degree. The bachelor’s degree can be in any arena, but many aspiring lawyers choose to pursue degrees in political science. Potential bankruptcy students might also benefit from a degree in economics. The next step is to be accepted into law school. It is imperative that aspiring lawyers attend a school that is accredited by the American Bar Association. Prior to being admitted to law school in the United States or Canada, one must pass the LSAT (Law School Admissions Test). This exam is designed to assess the necessary skills needed to succeed in law schools such as analytical and logical reasoning and reading comprehension. Law school admissions will look at both your LSAT scores and your undergraduate GPA when choosing whether or not to admit you. Many law schools provide students with the chance to enrol in classes specifically on bankruptcy law which will give students the chance to learn more about the field. Other classes students interested in this arena of law should take include consumer finance and tax law in order to hone the skills necessary for this career path. Some schools have bankruptcy clinics and internships that will give students the chance to work in a hands-on position. The completion of intensive schooling, the writing of exams and law essay help potential lawyers achieve all of the necessary skills and education to succeed as a bankruptcy lawyer. Bankruptcy law can be a rewarding pathway for practising and potential lawyers. Ensuring you have equipped yourself with the most thorough education can be your best bet for getting your practice off the ground. The last thing any organization would consider doing is filling bankruptcy claim. They will do all their best to pay their creditors on time. However, it comes a time when bankruptcy cant be avoided because of the tough economic conditions being experienced. When this happens, it calls for the services of a bankruptcy lawyer. Bankruptcy is when one is not able to settle their debts. Bankruptcy is recognized by the law and most countries have put in place some bankruptcy law to control the debtors and creditors relationship in case the debtors file bankruptcy. Bankruptcy gives the debtor an alternative way to clear his/her debt either partially or fully. This will likewise rely upon the financial status of the debtor. Creditor(s) can, however, decide to file the bankruptcy petition demanding the debtor(s) to settle the full amount or part of the debt. When this occurs a debtor will require the help of a bankruptcy attorney. Bankruptcy law may be complex for a layman to understand and that why they will need the help of a reputable bankruptcy attorney. A bankruptcy lawyer has a role to his/her clients no matter who is the client. He/she has to make sure that the clients receive fair treatment throughout the whole legal process. Every lawyer accepts this ethical responsibility when taking an oath. Another great thing that the bankruptcy lawyer does to his/her client(s) is to offer legal advice. It is the role of the attorney to inform the client on how to compose themselves and provide professional legal advice regarding the case. He/she should help the clients to be ready for any inquiries or information which may arise due to the case. He/she should be able to tell the clients which options are available and suggest the most suitable for them. This is somehow hard, especially to the attorneys who don’t have much experience, hence hiring an experienced bankruptcy attorney is of great benefit to the clients. 3. Responsibility related to finances. Bankruptcy cases involve the handling of gigantic volumes of the financial records and statements. It is the role of the bankruptcy attorney to analyze and assess the financial records to decide the assets of the company that has been petitioned for bankruptcy. This need to be identified in good time since liquidation may be mandatory and the attorney needs to be ready for that option. Another important thing that a bankruptcy lawyer should observe and do is discretion. The attorney should know how to be composed, what to do and what to disclose regarding the case. The case subtleties and discussions between clients and the lawyer ought to be private. This will foster the client-lawyer relationship and ensure that no useful information leaks. The attorney needs to be committed to the bankruptcy case he/she is handling. If the lawyer does not devote himself the case may be lost as a result of infringements of clients right. It used to be not so many years ago when you could apply for bankruptcy, simply because they wanted to. In most cases, this did not even require a real financial need, but at a time when very poor bankruptcy regulations were in place, many people found it easier to declare bankruptcy than to fight debt repayment. and many people filed for bankruptcy every two or three years. Regulations on bankruptcy have become much more difficult in recent years, and in reality, you can not allow bankruptcy because of new regulations. Although bankruptcy law is still very different from the state, there are enough federal regulations that require bankruptcy to be a much more complicated process than before and require approval by a bankruptcy judge who is not automatically granted. In fact, the bankruptcy procedure is no longer a do-it-yourself procedure. There are places where they sell a home bankruptcy kit, but the amount of time spent understanding the very complex and complicated procedures will make your head spin. Your time is much better spent recovering your financial life, and the money you spend on a good bankruptcy attorney will pay off because the bank lawyer knows the procedures, the obstacles and is aware of the possibility of bankruptcy. the law in the country where you apply. Another note about good bankruptcy lawyers is that they are in excellent procedure to advise you on the best options. Most often the debt consolidation service may be the best option for you, and debt consolidation has no long-term negative impact on your creditworthiness, which is bankruptcy. There are several common misconceptions about bankruptcy. It’s completely different from making a Monopoly bankruptcy, but some of the things people think about bankruptcy are completely false, and we’ll look at some of these things here. While you think about bankruptcy, there may be people around you who know the law of bankruptcy, but what they think is probably bad. Some people think they will lose everything in case of bankruptcy. Not true It depends on your individual situation and the type of bankruptcy you submit. You cannot lose anything. Another myth is that you can never get a loan after filing for bankruptcy. Nothing can be further from the truth. Of course, it will be harder to get a loan and unless you prove that you are again, you may have to pay a higher interest rate for this loan, but getting a bankruptcy loan is not a serious obstacle. 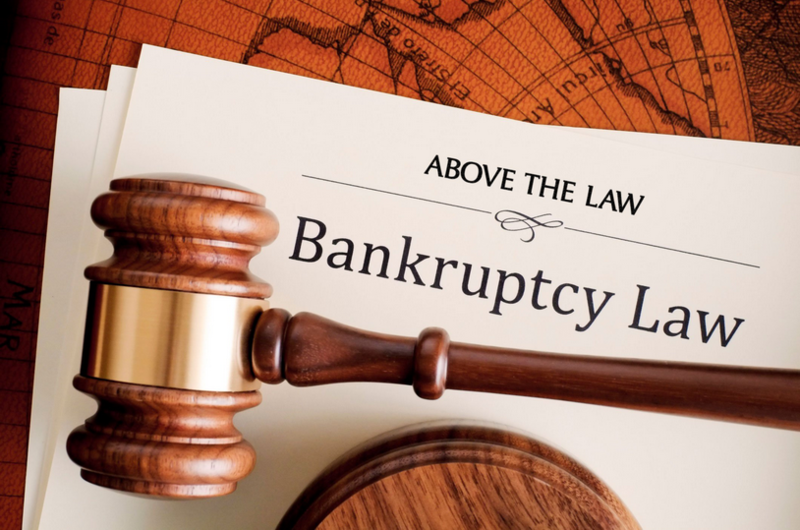 You need to understand bankruptcy laws from people like bankruptcy lawyers who are falling into bankruptcy all the time and do not seek advice from people who have heard these and other things on the subject. This is a critical moment in financial life, and the last thing you need is dissatisfied advice from someone who thinks he knows what he is talking about. © 2019 BankruptcyLawyers. All rights reserved. How to Become a Bankruptcy Lawyer? - What Do Bankruptcy Lawyers Do? 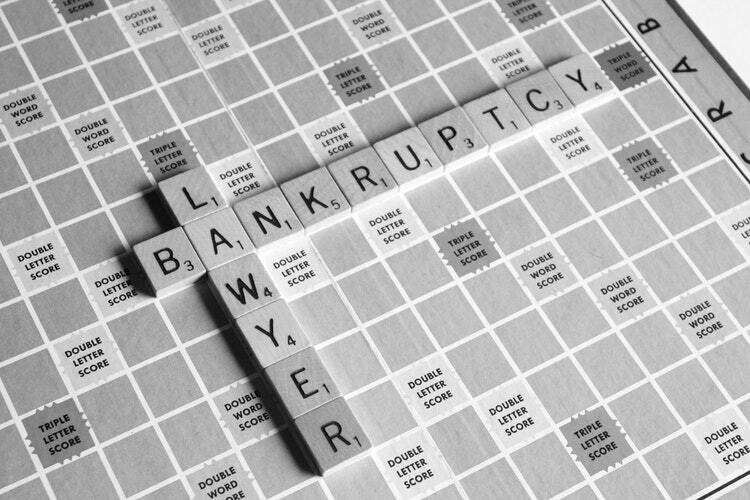 - What is Bankruptcy Law?